Such a Rush - Lis Les Livres- Read Books! 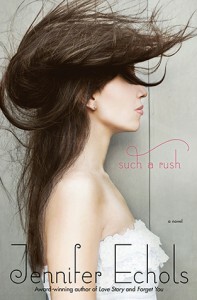 http://lisleslivres.blogspot.com/2012/12/review-such-rush-by-jennifer-echols.htmlCharacters: Hot twins. Enough said right there.Alec is very sweet, the one everyone thinks of as the good boy. He had a few funny lines here and there. Alec is the kind of boy that would make a great friend.Grayson is the one with a temper and has trouble expressing his feelings. He doesn't seem like he cares and kinda comes off as a bad boy, but he's very sensitive and has good intentions.Leah is another one of those girls who has a rocky home life and expresses it through sarcasm and bitterness sometimes. Honestly, these types of characters confuse me. Why would I ever get involved with someone who acts like a snake? But you can predict what happens when these boys get involved with Leah...Plot: You know I'm a sucker for romantic dramas, or rom drams as I like to call them. You know the formula: boy likes girl, girl likes boy, they get together with a lot of things in the way, then they break up, then they get back together because love prevails. The things that get in the way, the secrets are interesting and unexpected. 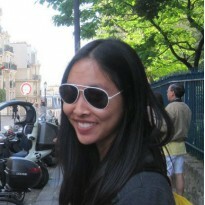 Writing: As always, Jennifer Echols knows how to write some steamy scenes!!! After this, I felt like taking flying lesson, but that quickly passed when I realized that wouldn't be too safe.Would I recommend it to a friend? Oui. As I said before, hot twins.